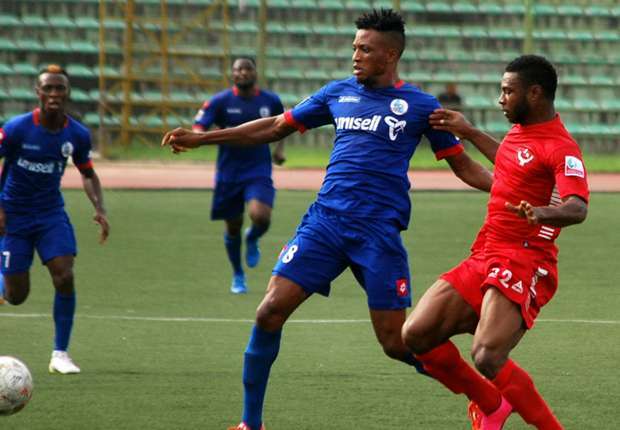 With seven matches left to end the Nigeria Professional Football League, the race for the title is gradually heating up as second place Enugu Rangers square up against league leaders, Rivers United at the Nnamdi Azikwe Stadium, Enugu on Sunday. Both teams would be relishing a victory in a bid to move a distant touch from claiming an unprecedented NPFL title. Facing a contrasting form in the league, Rangers have managed just one win in their last matches with just 51 points while Rivers United (53 points) have won three and lost two of their last five matches. The last time the two teams met, Rivers United were victorious, beating the Flying Antelopes 3-1 on May 1st, 2016 and are poise to do a double against them. However, there is a lot at stake for Enugu Rangers as a win would leapfrog the team ahead of the league leaders and put the team in pole position of claiming their seventh league title since 1984 when they last won it. Enugu Rangers coach, Imama Amapakabo will be banking on the services of Osas Okoro, Chisom Egbuchulam and Emeka Eze for the much needed goals while Rivers United coach, Stanley Eguma will be relying on Asamoah Godbless, Victor Alegbe and Sunday Rotimi to help the team secure the maximum points. Meanwhile, Enugu Rangers striker, Chimezie Amanfor says the team are battle ready to face title rivals, Rivers United for the three points. “We are back to where we belong and we are keen to hold firm in the remaining matches on the calendar. Usually we don’t like to brag as we like our game to speak for us. We will be ready to fight Rivers United for the three points at stake on Sunday. “We will not miss the rare opportunity offered b Rivers United to reclaim the summit.” he said.